Going Strong in 2nd Grade: Goodbye Clip Chart! 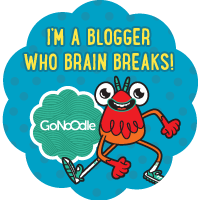 NOTE:I'VE DONE AN UPDATED CLASS DOJO BLOG POST HERE! So, I posted on Instagram a couple weeks ago that we were ditching our clip chart and I was making my kiddos Class Dojo credit cards. 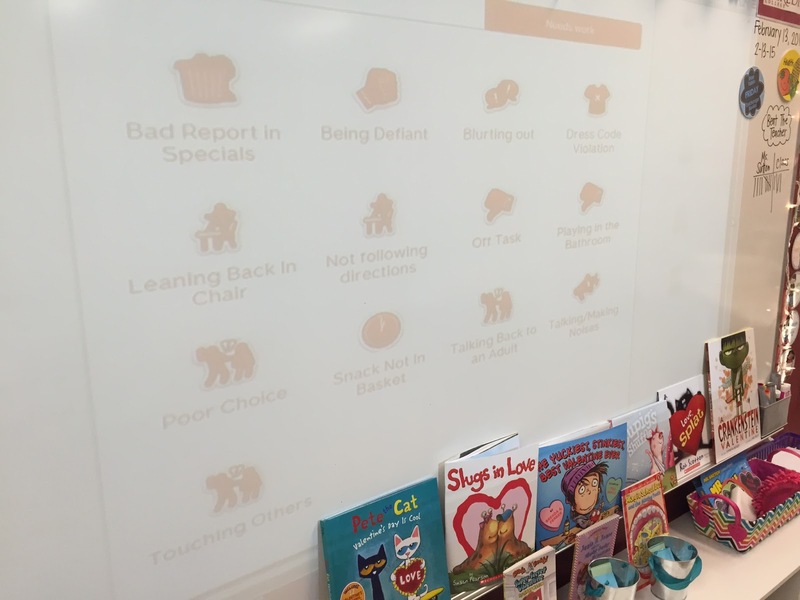 This was our first week sans-clip chart, so I wanted to share with you what has been going on in our room, behavior wise! I have used Class Dojo for 3 years now and LOVE it. Those little sounds that go off when a point is given or taken away can totally change the behavior of my other kids, even if just for a moment. So, I have used Class Dojo points in conjunction with my clip chart and the number of points the kids earn determines what color the are on. Everyone starts on green and moves up or down. 0-2 points is green, 3-5 points is blue, 6-9 points is purple, 10+ points is pink. Negative points were yellow, orange, and red. Two Saturdays ago, I saw a 100 point Dojo club on Pinterest and my wheels started spinning. I reset points daily and the kids start with 0 points each day. I liked this idea of a 100 point club and it got me thinking about redoing our behavior plan. Kids and parents are so focused on what color they are on at the end of the day, and that shouldn't be the focus! The focus should be on what they learned and what choices, good and bad, they made throughout the day. Now, I'm sure I'm like many of you and when you get an idea like this, you just can't wait to make the change! Me - I moved just about every piece of furniture in my room on afternoon and the following morning last spring because I couldn't wait until the end of the year to do it! So, I couldn't wait until after track-out at the end of March to start this - I wanted to start NOW!! On the Monday of last week, I talked to my kids about it and they fully agreed and were excited to start. I just had to figure out how I was going to manage it all in an organized fashion. I decided that each day we would track behavior on a graph. I love looking at my TPT sales graph, because I am a visual person, and after one week, I can see the kids like looking at their graphs too! 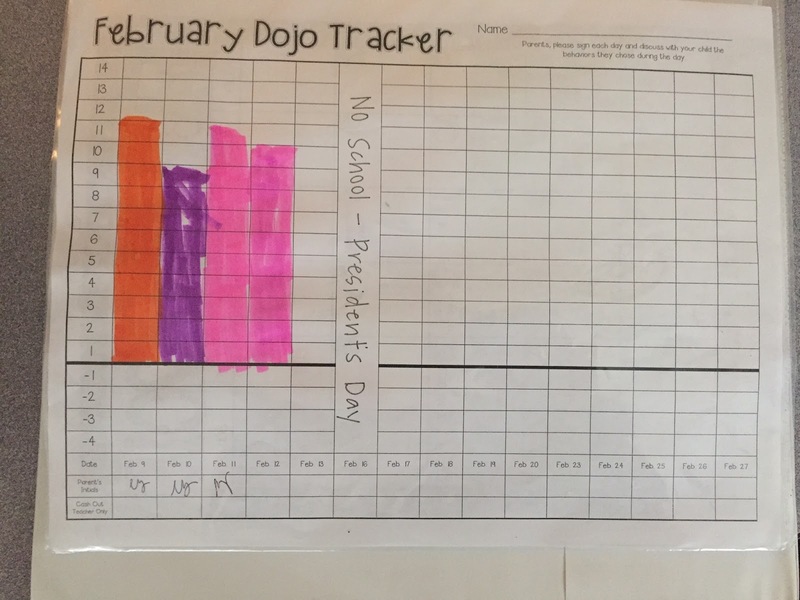 Before, the kids would color in their color on a monthly chart, so now we have a monthly graph instead. Last week we also adjusted our positive and negative behavior points during lunch one day. They gave some input on what we should add. We have 8 positive points and 12 negative. The kids kept adding negative ones - BUT, I liked having more of the negative because it helps parents know exactly what their child did, rather than email me, want to know what they did and I have to think back to tell them. Thankfully Class Dojo time stamps the points, so that would help me, but not always. Cubby Fairy - occasionally I check cubbies in the afternoon to see who has a tidy cubby. Turn in Homework - this is a new one that the kids LOVE. I re-connected my Mimio so that they could use the pen and give themselves a point for turning in their homework. We are one week in and our "behavior lingo" has changed a little, but the kids are excited to get their credit cards next week and begin cashing-in once a week. 1. Kids color in their behavior on the graph every day. 2. 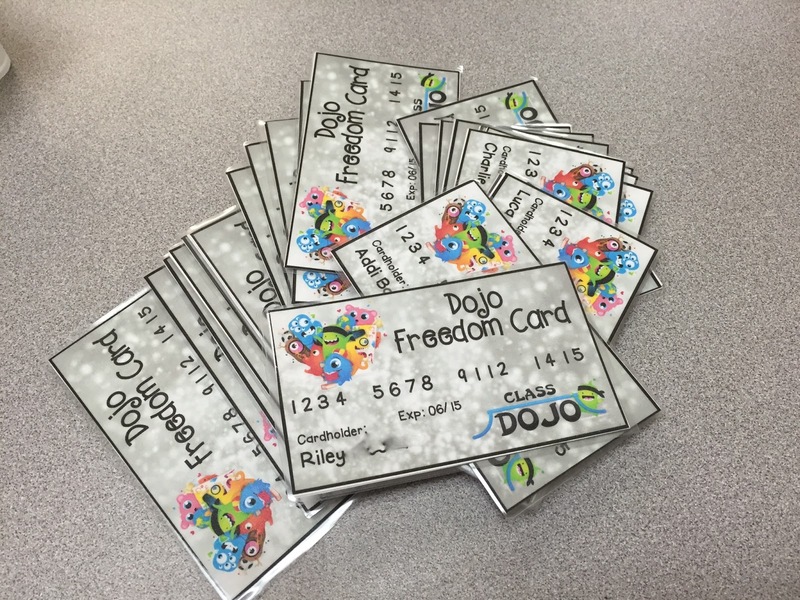 Once a week, on their change books & iPad charging day, they will be able to cash-in their dojo points for dojo dollars to put on their Dojo Freedom Credit Card. I will total their points earned from the previous week/days and write their total on the back of their credit card. They can spend any day of the week, so we will deduct that from their balance. The cards are laminated, so I can use a sharpie and Mr. Clean to easily change the balance - whether adding to or taking from when they spend their dojo dollars. The back of the card has a "swipe strip" and the kids signed the back of their card just like a real credit card! 3. Kids can purchase items/activities in our Dojo Store. The Dojo Store took the place of the behavior chart on the door. All eyes were on that closet door last Thursday when I changed it out and I was constantly finding them standing at the door deciding what they were going to save their points/dollars for - talk about excited kids! 4. Class Dojo Leader of the Week - this is my version of the 100 point club I found on Pinterest. 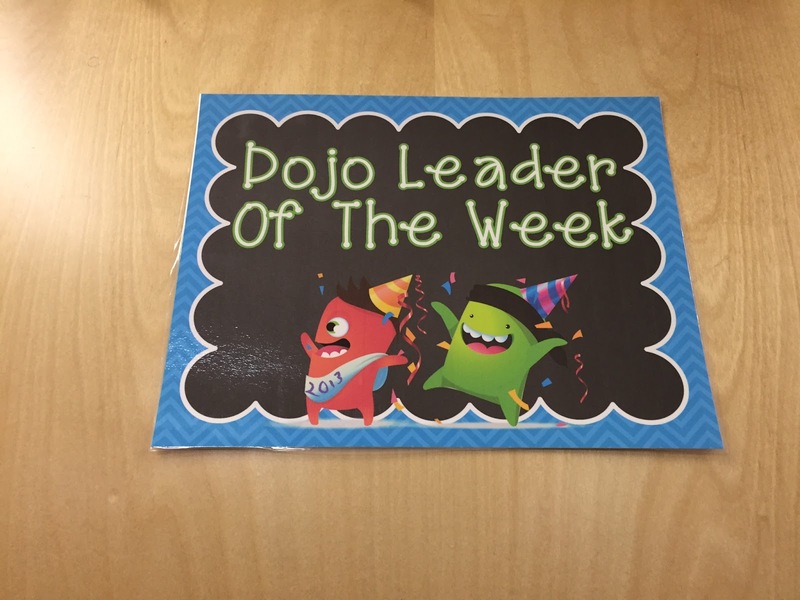 Each Friday afternoon, we will look at our totals for the week and the student with the highest combined positive/negative points will be the Dojo Leader of the Week. They get to pick out one of the laminated Dojo monsters I printed and laminated and I write their name on the monster and post on the door with the sign. They are still getting used to not having "pink" because when they get to 10 points, they say "I'm on pink!" and I have to remind them that there isn't a pink anymore! You can check out this Class Dojo pack in the TPT store. More goodies may be added at a later date, but the price will probably go up! We had an early release today and the day off on Monday...with the possibility of snow Tuesday - so fingers crossed for a really long weekend!! 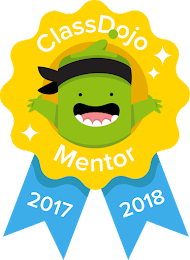 I've just started using ClassDojo. I think, for the most part, I like it. I did really well keeping tracking and marking behaviors last week but not as great this week. I even took down the clip chart this week. I'd be interested in emailing you some questions I have about it, if you don't mind. 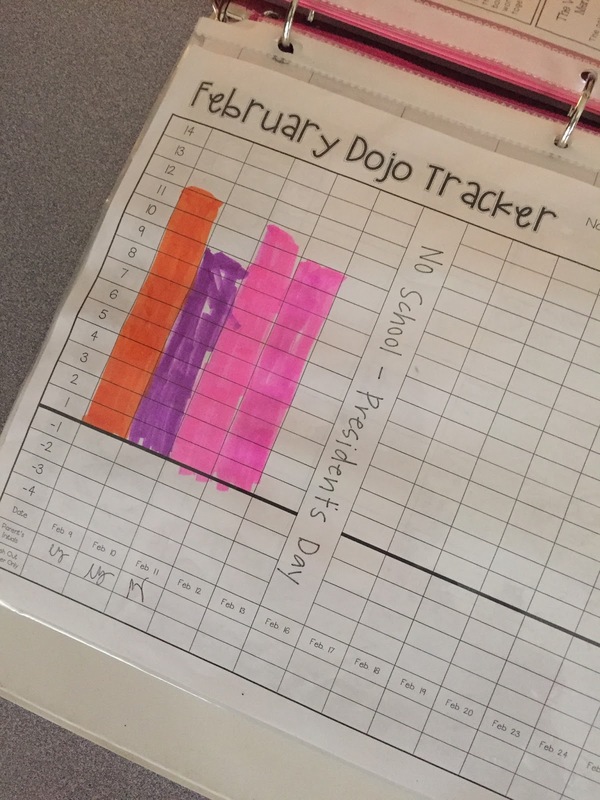 I love the daily graph the kids fill in to too, because that's one thing I hadn't figured out, how to mark daily for parents to keep track. 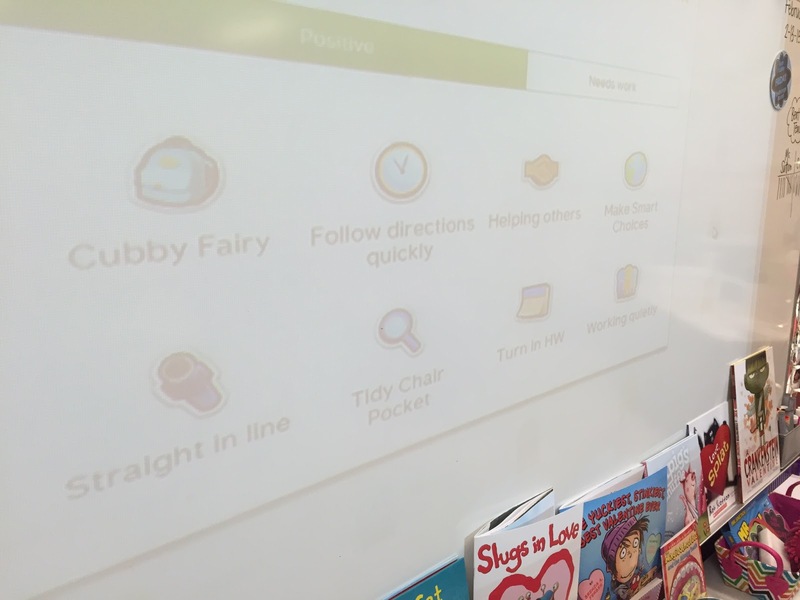 I started using ClassDojo last year and I didn't really stick to it because I didn't have any system in place to keep the kids excited with it. 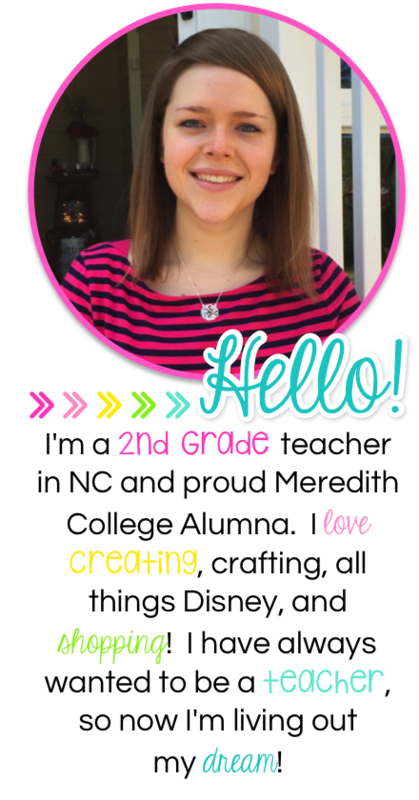 This year I decided it was going to be my whole behavior tracking system to help keep me organized and keep parents in the loop about behavior. 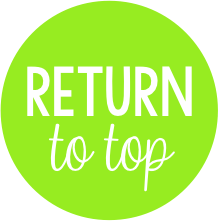 I created a point redemption system and my students redeem their points at the end of every month. They absolutely love it and it's really encouraged better behavior, participation, and turning in homework. Do you have a master of the graphs I could use or buy on TpT? I like clearing their points each day so I need a way to keep track for parents. I found it on the TpT one I bought..way at the bottom..do you have it in a word document I could edit? 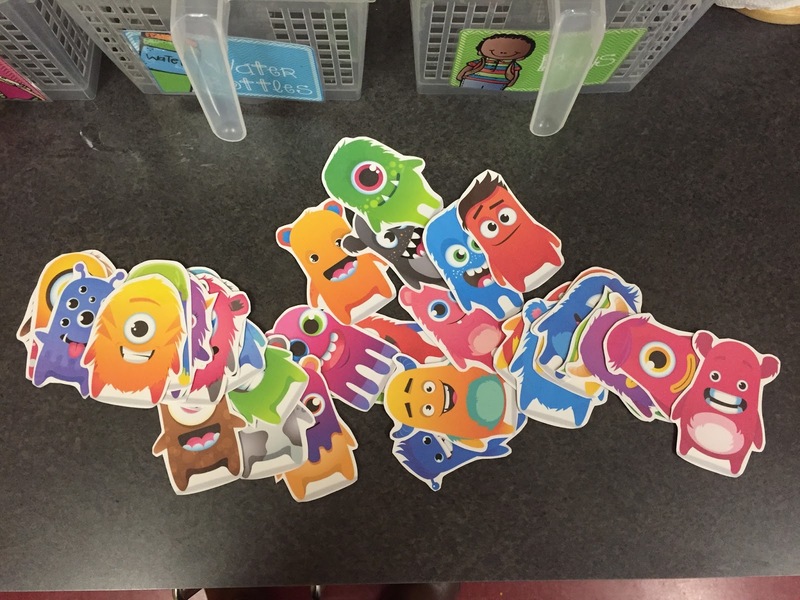 I liked the point cards with the monsters on it that you have on the pinterest but they are not in the bundle. Where can I get it? Hi Amber, that photo was removed from this blog post because it was causing some confusion. If you will go to the updated blog post that is linked at the top of this post, you can see the updated product. The clipart is not included because it would violate copyright for me to include it. 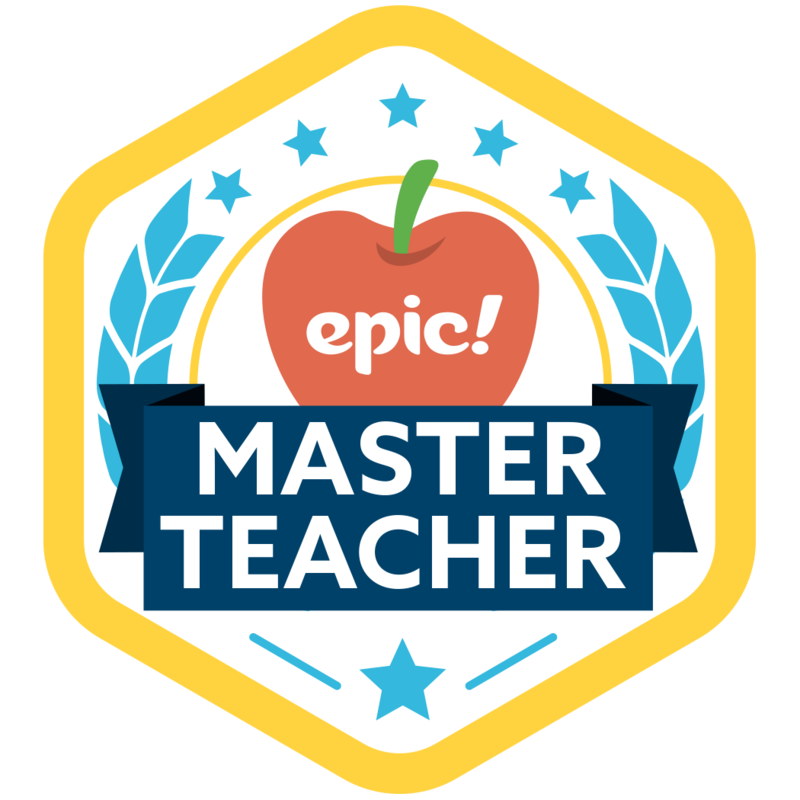 The pocket covers and credit card are an editable powerpoint, so you can download the clipart from Class Dojo and add to the pockets. I have used Dojo for years. I never thought about using the points as a store. I love your idea. I purchased your product after seeing this on pinterest. I am late seeing this. I just started this the first week of May. I wanted to go ahead and try it. We are doing economics this six weeks so it fits perfectly into that unit. I also wanted to work out kinks and be able to start your system right away at the beginning of next year. I love all the goodies you had in your product. Thank you for making my students and I so excited about something positive to close out this school year. Your product is amazing.